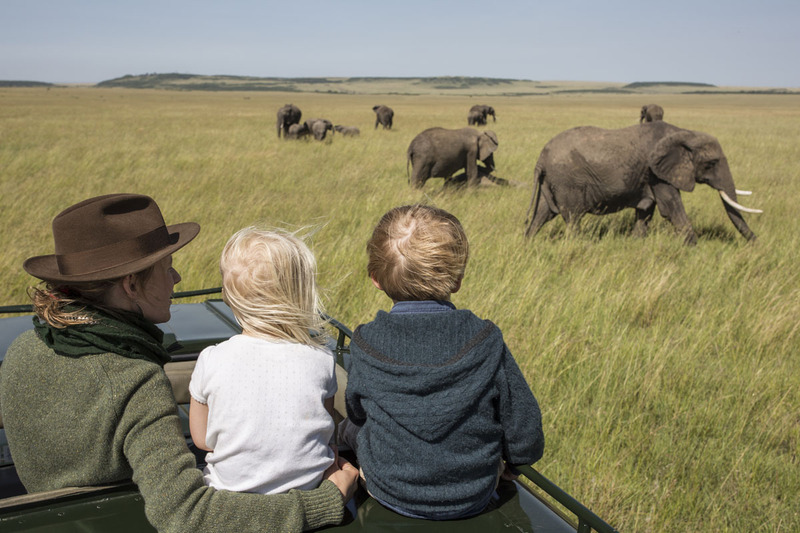 Travelling with children can be fun, but can also be stressful. 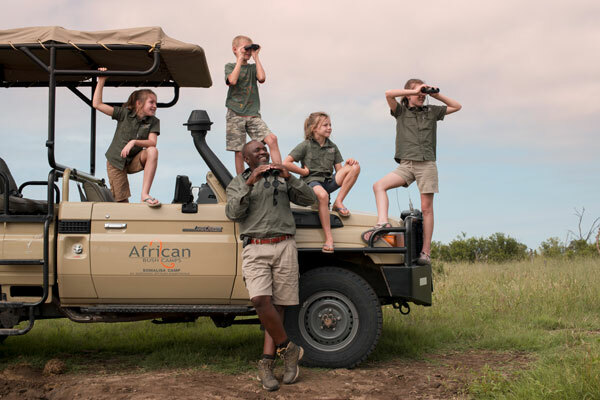 We have planned countless family safari and beach holidays. We share our tips for making sure everyone has a relaxing holiday. 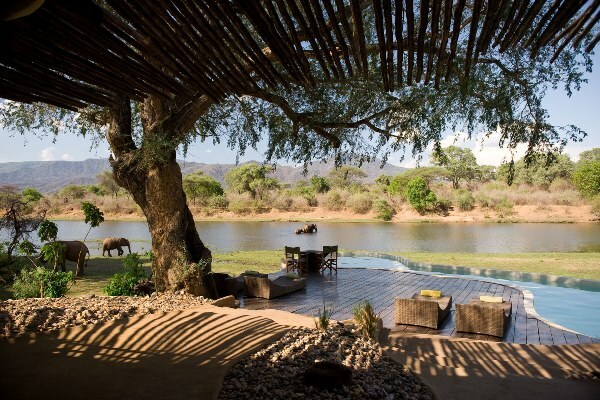 The traditional safari day means you’ll likely have some down time during the day. Take playing cards, colouring stuff and any other small games to keep children entertained if they don’t feel like having a siesta. 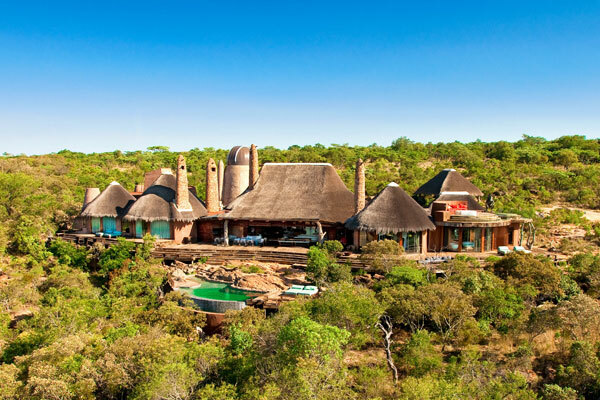 Alternatively, choosing a property where there’s a swimming pool will add another aspect to your stay. 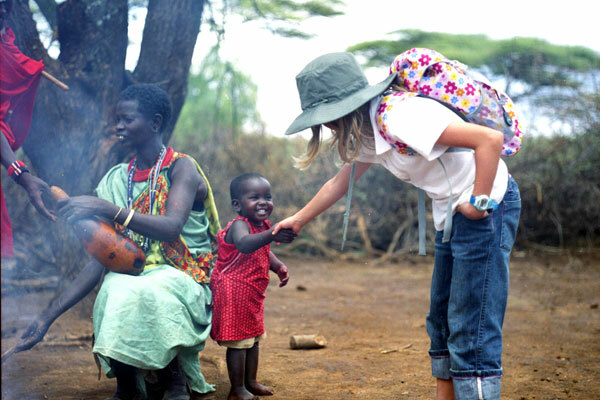 Children are much more robust than we give them credit for, so do something adventurous. 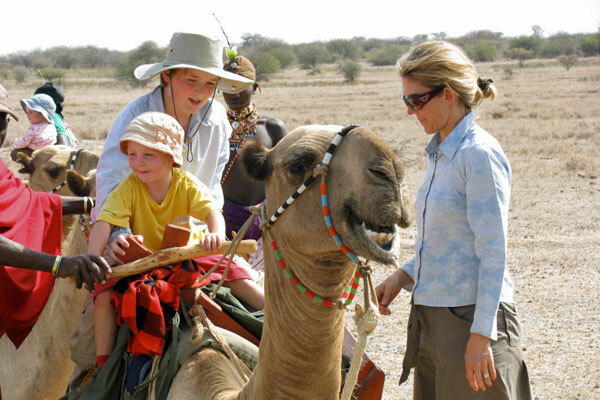 There are lots of camps and lodges that offer a range of activities, including walking, horse and camel riding, fishing, boating, cooking and junior guiding courses. 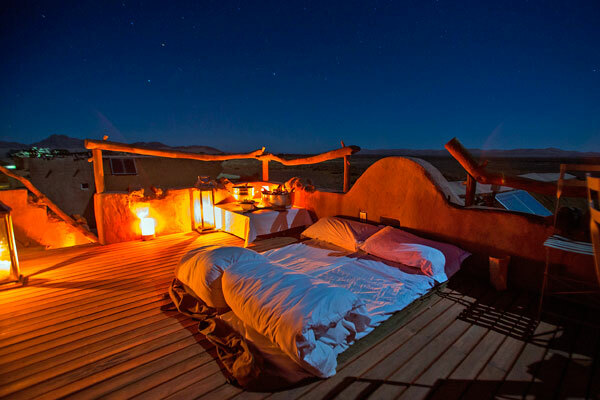 Try a night out in the open, either fly camping or on a star bed platform where you can see the night sky. Most kids are mesmerised by planets and the stars and the African night sky is a true wonder in that respect. Take child sized headphones to use on the plane. The airline ones are often too big for little ears. Make sure you have a pair of binoculars each, and if you can take a couple of cameras that’s a good idea too. 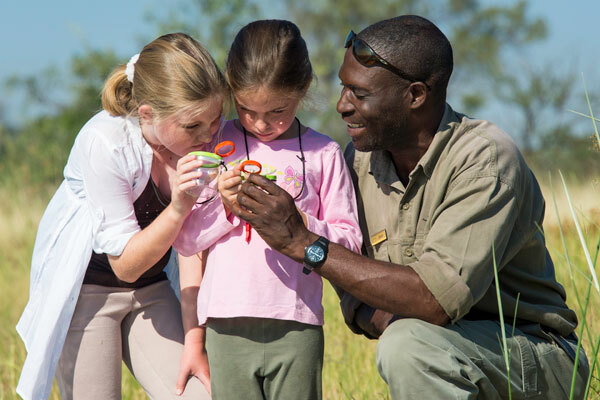 Identifying poo and footprints is a great way to keep children amused so even when walking might not be high on the agenda at home, a stroll in the African bush is something different altogether. With camels or donkeys carrying the kit there’s always a spare saddle for tired legs. Children are fascinated by other children. Go and visit a local school or village. Language barriers seem to be non-existent and you’ll be amazed by the almost instant interaction and laughter. Any questions on travelling with children? If you’ve got this far and still have questions on travelling with children, please let us know in the comments section below, or pop us an email. 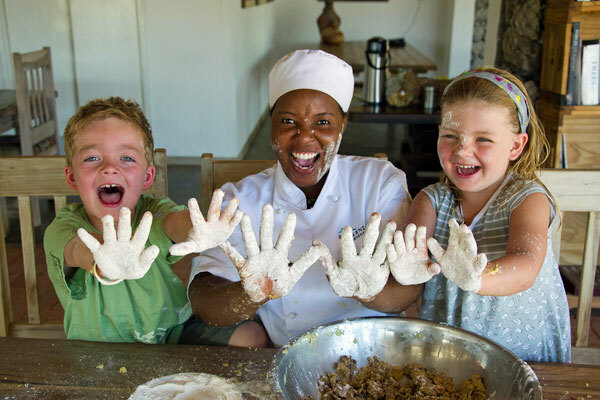 We have catered for all ages on family holidays in Africa. We’ll be sure to read your thoughts and may amend the article. 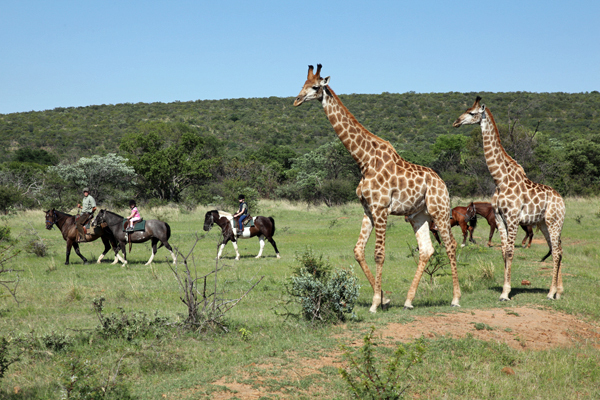 Hi, I picked up your brochure at Hampton Court flower show, and am looking for a safari for 3 weeks next Summer. There will be me and my 3 sons, then aged 19, 16 and 13. I would like to cover a fair bit, and see as much as we can! 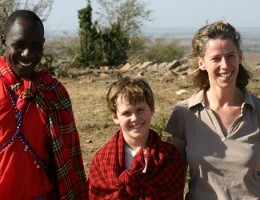 Especially would like the children to get some experience of the cultural differences. 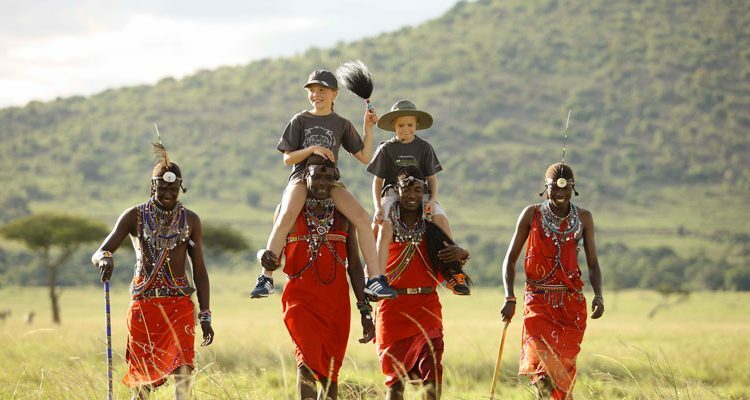 Would like to travel south from Kenya, via Tanzania (and Zanzibar) and end up in Cape Town – happy with train travel – even difficult train travel. Will be at the lower end of your budget suggestions .. wonder what you can suggest?